The Sharia laws. Due to the Sharia law, Banking and other Islamic financial services are prohibited on levying exorbitant sums as interest from loan seekers. Similarly, the upcoming Islamic Banking (a banking system that operates by abiding these protocols) has motivated many GCC countries and Southeast Asian Muslim Countries, to have a high level of interest towards Bitcoin and its underlying technology, the Blockchain. Is The Next Crypto Surge Going To Be From The Middle East? The middle east, especially Dubai, UAE, is heavily pursuing the decentralized technology of Blockchain. In fact, they aim to convert majority of its public offices to operate completely on the Blockchain by 2020. With a digital identity for its every citizen, this decentralized dream seems soon to become a reality. While this technological adaptation has been hailed by many as revolutionary, there is still much speculation on Cryptocurrency and its implementation. What stops Cryptocurrencies from going mainstream in these few pocket sectors is the fact that under the Sharia Law, all forms of speculative trading is prohibited. It is one thing to use the technology and tweak it according to one’s need but, the minute it comes to recognizing it as a means of legitimate medium of exchange is a whole different ball game. As more and more of the younger generation is leaning towards the global acceptance of Bitcoin and other similar cryptos, more the speculation surrounding its acceptance is increasing. Infact, many islamic scholars are actively pursuing discussion on its fate. Cryptocurrencies: In Gold We Trust! Gold is resilient. It holds its value better than any of the famous fiat currency. It is precious, durable, practical and comes on top at any time of economic instability. By using it to eradicate speculation that is involved in determining the price of a crypto is a logical way to go. Mentioned below is the most famous and Sharia compliant token. It has managed to succeed where Bitcoin has failed. This Dubai based organization has achieved the impossible. OneGram is the first Sharia compliant cryptocurrency to ever exist! This information has been confirmed by Dubai based Al Maali Consulting. 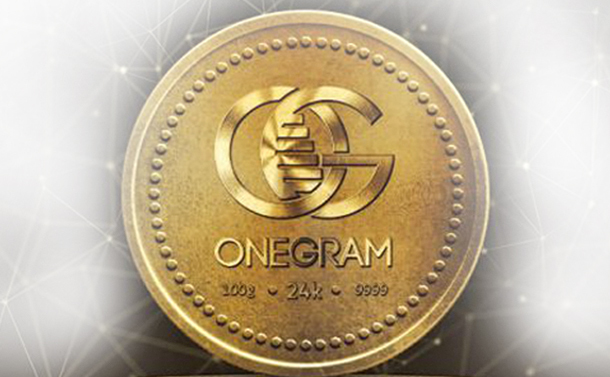 Each OneGram Coin (OGC) is backed by a gram of real gold. It stores its gold in vaults that are located with heavy security within the Dubai Airport compound. It has hired PWC (Price Waterhouse Cooper) to manage the audit of its protocols and is in partnership with GoldGuard. (it is a Dubai based gold trading company) With a limited number of coins, (12,400,786 Coins) it is trading on the protocol of unique proof of stake (the more cryptos an account holder has, the more mining power they have at hand) All unsold Coins will be destroyed once the ICO ends. While the distribution and consensus requirements are inspired by Bitcoin and other similar cryptos, OneGram is as unique as it comes. An open source code and plans of having an open API along with 2 different block explorers there is only one-way OneGram can go, and that is up! Keep your eyes open for this one folk! Our interpretation on whether cryptos are halal (allowed) or haram (not allowed) is subject to the manner of its convenience to us. But, when any technology or a protocol is viewed under a uniform umbrella such as the Sharia Law, the factors involved change. We do not know what the grand council shall decide, but, as a means of trading to achieve items of our everyday livelihood, there is a very low chance of Cryptos being banned. We can wait and watch but with companies like OneGram, we are secure in our know ledge that wherever there is a will, there shall be a way. PS: GOLDX from HelloGold, a company based in Kuala Lumpur, Malaysia was the first recorded Shariah Compliant gold backed cryptocurrency but, due to Malaysian laws, its stand on cryptos wasn’t made clear.